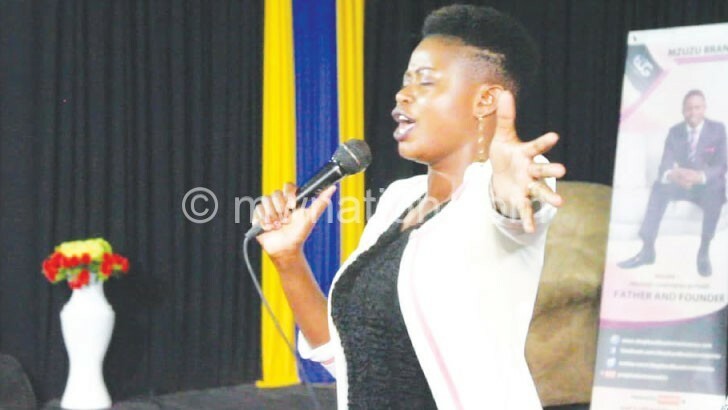 Gospel artists Martha Kasambara and Thoko Katimba on Wednesday evening staged a stunning performance at South Africa-based Prophet Shepherd Bushiri’s Enlightened Christian Gathering (ECG) prayer house in Mzuzu. l messages through their music, thereby strengthening people spiritually. He said he enjoyed their melodies which continue to make him strong spiritually. During the service, Kasambara and Katimba were welcomed with cheers and ululations while Bushiri captured their videos. Kasambara performed one song titled Ndikudikira Lonjezo. Her performance was impressive and saw the fully-packed church dancing as one way of glorifying God. After the performances, Bushiri preached to the patrons a message of hope from Romans 7 verse 19 where he told the gathering to believe that through him, God can change their bad situations. “God can change your situation around if you believe in me your prophet. Through God, we can change your bad situation,” Bushiri said. Other artists that performed during the service included Mzuzu ECG choir who sang Dalirani Yesu, Prophetic Dancers and Mobla Drama Group.